Super Bowl LIII is scheduled to held this Sunday, Feb. 3. at the Mercedes-Benz Stadium in Atlanta. From the AFC, the New England Patriots will take the cold-weather talents indoors, while the Los Angeles Rams have traveled across the country to prove they’re worthy of unseating the NFL’s current dynasty. With the youngest head coach in Super Bowl history leading the charge, the Los Angeles Rams will attempt to usurp the dominant force of the NFL’s last two decades in the New England Patriots. With two weeks to prepare, we’ll certainly see some tricks from both McVay and Belichick in an effort to break open what will likely be a slow first quarter. The big game will officially kick off at 6:30 p.m. Eastern Time on Sunday, Feb. 3 at the Mercedes-Benz Stadium in Atlanta. In other words, you still have a couple days to prepare. Luckily, if you have an Apple device, you have some easy options to watch the Super Bowl. Here’s how. CBS will be televising the big game on their channel, but the broadcasting company will also be streaming it for free through the CBS Sports app. The app is available for a variety of platforms, including iOS and tvOS. That means you can stream the big game directly without any complications on your iPhone, iPad or Apple TV. It’s worth noting that the CBS Sports app does support AirPlay and Google Chromecast. So you have some streaming flexibility, too. Alternatively, if you have a Mac or PC, you can watch the event in a browser at CBSSports.com. 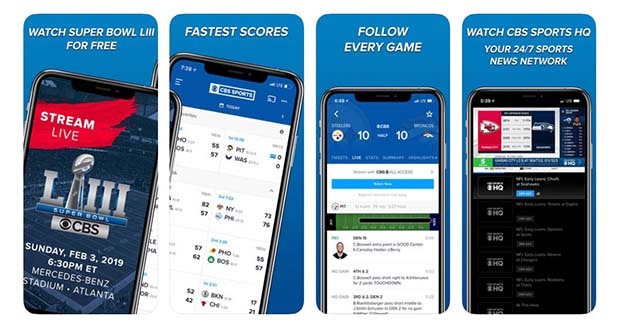 If you want to catch the game and all you have is an iOS device, one of the best options may be the official NFL app. You can watch the Super Bowl for free on the app on iPhone or iPad. But, unfortunately, you’ll only be able to catch the game on the small screen. The NFL app doesn’t support AirPlay, HDMI out, or Google Cast — so you won’t be able to push the video stream to a TV. That’s the case even if you pay for an NFL Game Pass or a cable subscription. Still, if you’re content to watch on an iPhone or iPad, it’s a solid choice. Thankfully, it’s now possible to watch the Super Bowl LIII online, even if you don’t have cable TV! Gone are the days of needing an expensive cable subscription in order to enjoy the best of TV – today, there are several services that will let you watch Super Bowl LIII streaming from home – we’ll go over the details below! fuboTV: You can download fuboTV on the following devices: Apple TV, Roku, Amazon Fire TV, iPhone, iPad, Android mobile devices, Android tablets. You can also watch on your laptop, plus connect the game to your TV via Google Chromecast or Apple Airplay. DIRECTV NOW: DIRECTV NOW is a great new streaming service that makes it easy to stream Super Bowl LIII coverage live, while also enjoying the latest news, TV shows, movies and more. The service costs $35 a month for 60+ channels, which includes ESPN and ABC (select areas).With DIRECTV NOW, you can watch Super Bowl LIII on Roku, Apple TV, Chromecast, mobile devices, and more. There’s no contract required, and the service is quite easy to use. Sling TV: Sling TV will is another good way to watch Super Bowl LIII online. This live streaming service is changing the way people watch TV by providing the best TV channels for just $20 a month, without a cable subscription or long-term contract. You can stream Sling TV on a wide variety of devices, like computers, smart TVs, mobile phones and streaming devices.While cable’s ESPN will be covering the action, you will be able to catch all of the action on Sling TV, a new streaming service from Dish Network that offers live streams of ESPN and about 30 other popular cable channels like AMC, TNT, and HGTV for just $20 per month, no commitment required. 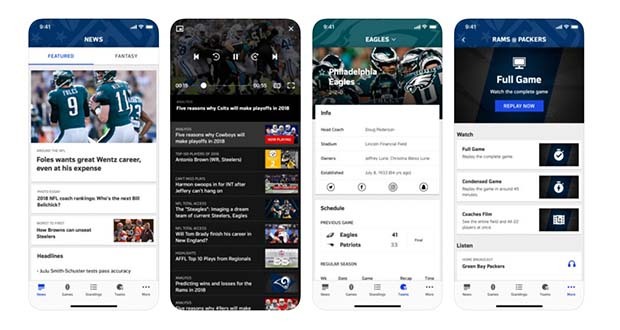 PlayStation Vue: PlayStation Vue will provide another great way to watch Super Bowl LIII online during Super Bowl 2019. This live streaming service is similar to Sling TV, in that it provides its customers with direct, live access to many popular TV channels. You can use Vue on your PS3 or PS4, or on Chromecast, Roku, Apple TV, Amazon Fire TV, or iOS devices.Vue offers a few different packages, but even their most basic package is $40 a month and includes access to ESPN and ESPN2. Since these two channels will be hosting the vast majority of Super Bowl LIII coverage, you’ll be able to use Vue to watch Super Bowl LIII streaming at your leisure. X Fest is located inside X games at the base of Buttermilk Mountain in Aspen, Colorado. X Fest is a FREE interactive festival featuring sponsor activations, entertainment, games, athlete appearances and more. X Fest is open daily from 11:00 a.m. to 7:00 p.m.
What are the Transit Option for X Games? There is NO event parking on-site at Buttermilk Mountain for X Games. FREE Event parking is located at the Brush Creek Intercept Lot at Highway 82 and Brush Creek Road, with complimentary shuttles provided to X games. 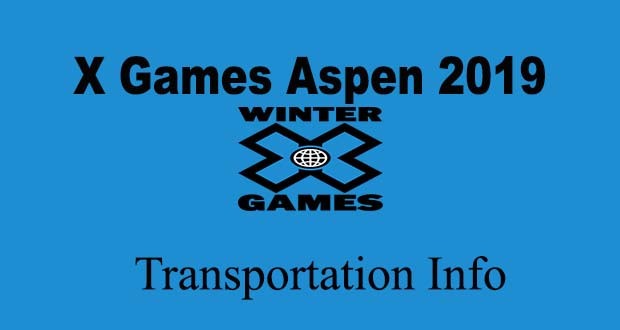 Paid parking is available in Downtown Aspen and Snowmass Village, with dedicated X games event shuttles departing from Ruby Park (Aspen) and Snowmass Village Mall (Snowmass Village). Thursday, January 24th 9:00 a.m. – 9:00 p.m.
Friday , January 25th 9:00 a.m. – 9:00 p.m.
Saturday, January 26th 9:00 a.m. – 9:00 p.m.
Sunday, January 27th 9:00 a.m. – 7:30 p.m.
Thursday, January 24th 9:00 a.m. – 4:30 p.m.
Friday , January 25th 9:00 a.m. – 4:30 p.m.
Saturday, January 26th 9:00 a.m. – 4:30 p.m.
Sunday, January 27th 9:00 a.m. – 4:30 p.m.
To Brush Creek Intercept Lot, Ruby park (Aspen) and Snowmass Village Mall (Snowmass Village). The last bus departs X Games 1 hour after the end of the last competition or concert. Thursday, January 24th 10:00 a.m. – 11:00 p.m.
Friday , January 25th 10:00 a.m. – 12:00 a.m.
Saturday, January 26th 10:00 a.m. – 12:00 a.m.
Sunday, January 27th 10:00 a.m. – 10:00 p.m.
Roaring Fork Transportation Authority (RFTA) provides extensive bus services above and beyond the X Games shuttle schedule listed above. For a complete list of bus stops, day and times thoughout Aspen, Snowmass, Brush Creek Intercept Lot, Basalt and beyond, visit www.rfta.com. Ride Share & Taxi pic-up and drop off is located across from Buttermilk Mountain at 50 Harmony Road, one block north of Owl Creek Road. Follow the directional signage to legally cross Highway 82, and ONLY cross the highway at marked crosswalks. Where is the entrance to X Games? 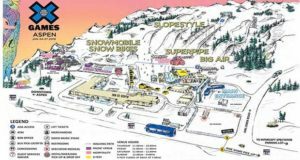 The entrance to X Games Aspen 2019 is at the base of Buttermilk Mountain Ski Resort at the intersection of Highway 82 and Owl Creek Rd. In 2019, the Winter X Games Aspen 2019 Concerts performances by Lil Wayne, The Chainsmokers, Kygo and Louis The Child. Artists are spread across three days, keeping the momentum up between bouts on the Superpipe and all that. The X Games hits Aspen, Colorado, Thursday to Sunday, Jan. 24 to 27, 2019, though musical performances begin Friday, Jan. 25. Lil Wayne leads the ceremonies, while The Chainsmokers and Louis The Child double headline Saturday, Jan. 26, and Kygo closes the show on Sunday, Jan. 27. Some of the best action sports athletes in the world will converge on Aspen, Colorado for the Winter X Games 22 from Jan. 25 through Jan. 28. Those athletes will compete in six skiing events, six snowboarding events, two snowmobiling events, and two snow bike events. Events like SuperPipe, SlopeStyle and Big Air are always the highlights of the winter festivities. The action begins Thursday, with television coverage provided by ESPN beginning at 10 p.m. ET and running for about 90 minutes. Winter X Games Aspen 2019 live streaming will be available online at WatchESPN. There are a variety of ticket packages available, while tickets to the X Games Aspen 2019 concerts start at $30. Check the another post here X Games Aspen 2019 tickets and visit the X Games website for more details and information. When Are the X Games Aspen 2019 Concerts? The X Games 2019 hits Aspen, Colorado, Thursday to Sunday, Jan. 24 to 27, 2019, though Concerts begin Friday, Jan. 25. Lil Wayne leads the ceremonies, while The Chainsmokers and Louis The Child double headline Saturday, Jan. 26, and Kygo closes the show on Sunday, Jan. 27. Check complete schedule of X Games 2019 and mark you calendar for it. 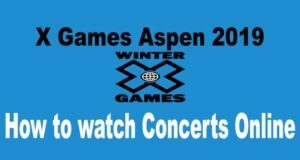 What Channels to Watch Aspen 2019 Concerts? The broadcasting rights to the Winter X Games Aspen Concerts channel for 2019? The performances will take place on ESPN, ESPN2 and ESPN3, with ABC also picking up one event. You can watch ESPN online (+ ESPN2 and ESPN3) and get the ABC live stream from a service called DIRECTV NOW (which offers a free 7-day trial). See the official X Games schedule for more details.. The channels have a long history of broadcasting the Concerts, so it’s not really a surprise. How To watch X Games Aspen 2019 Concerts Online? Thankfully, it’s now possible to watch the X Games Aspen 2019 Concerts online, even if you don’t have cable TV! Gone are the days of needing an expensive cable subscription in order to enjoy the best of TV – today, there are several services that will let you watch X Games Concerts streaming from home – we’ll go over the details below! DIRECTV NOW: DIRECTV NOW is a great new streaming service that makes it easy to stream X Games concerts coverage live, while also enjoying the latest news, TV shows, movies and more. The service costs $35 a month for 60+ channels, which includes ESPN and ABC (select areas).With DIRECTV NOW, you can watch Aspen concerts on Roku, Apple TV, Chromecast, mobile devices, and more. There’s no contract required, and the service is quite easy to use. Sling TV: Sling TV will is another good way to watch Aspen 2019 Concerts online. This live streaming service is changing the way people watch TV by providing the best TV channels for just $20 a month, without a cable subscription or long-term contract. You can stream Sling TV on a wide variety of devices, like computers, smart TVs, mobile phones and streaming devices.While cable’s ESPN will be covering the action, you will be able to catch all of the action on Sling TV, a new streaming service from Dish Network that offers live streams of ESPN and about 30 other popular cable channels like AMC, TNT, and HGTV for just $20 per month, no commitment required. PlayStation Vue: PlayStation Vue will provide another great way to watch X Games concerts online during X Games 2019. This live streaming service is similar to Sling TV, in that it provides its customers with direct, live access to many popular TV channels. You can use Vue on your PS3 or PS4, or on Chromecast, Roku, Apple TV, Amazon Fire TV, or iOS devices.Vue offers a few different packages, but even their most basic package is $40 a month and includes access to ESPN and ESPN2. Since these two channels will be hosting the vast majority of X Games coverage, you’ll be able to use Vue to watch concerts streaming at your leisure. The 23rd edition of ESPN’s annual winter sports competition, X Games 2019, returns to Buttermilk Mountain, Aspen from January 24 – 27 and will host a variety of entertainment and activities suited for the whole family throughout X Fest, located at the base of Buttermilk Mountain. The festival will feature sponsor activation, interactive courses, an awards stage emceed by Chicago-based band, The Flavor Savers, athlete meet and greets, giveaways and the brand new X Trials Obstacle Course. A new ticket option, X Lift + Music, was also added today, including a two-day adult lift ticket good for any of Aspen’s four mountains plus general admission access to all four shows at Buttermilk for $325. Admission to the action sports competitions and X Fest are free to the public, tickets to X Games musical performances start at just $20. For fans wanting to experience all four days of action sports and music, an all-music GA ticket is available for $120. In addition to ticket options, X Games is also offering hospitality packages including a 3 Night + 4 Day Platinum Sports & Diamond Club Pass and a 3 Night + 3 Day Platinum Sports Pass. Both options include stays at the historic Little Nell Hotel or Hotel Jerome, along with access to the Platinum Tower. Studio X is the new X Games hot spot in X Fest for fans of all ages to step inside the world of X Games. From educational, action sports focused workshops to local headline DJ’s spinning during the nightly Party in the Plaza, Studio X is set to be the “it” X Games hangout. Head over to the Diamond Club, located in the music venue adjacent to the GEICO Music Stage, to watch the latest action sports film releases and meet the athletes and filmers creating the video pieces. Additionally, catch a 30-minute block of short films not related to action sports. For the first time, X Games Aspen fans can meet stars up close and personal. X Games host Brandon Graham will introduce Alex Ferreira, Levi Lavallee, Jackson Strong and Barrett Christy for fans to get a chance to ask questions and get autographs while enjoying hot chocolate and popcorn. The exhilarating X Trials Obstacle Course will test competitors speed, strength and agility. To be rewarded for their skills, fans can run the course, beat their time and earn a spot to compete in the X Trials – Winter Warrior Jr. Final on Friday, Women’s Final on Saturday and Men’s Final on Sunday. 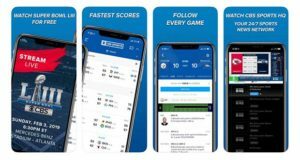 Utilize the official X Games Aspen 2019 app to play X Games All Access. Fans can stop by each of the locations listed in the X Games All Access tab of the app to win prizes like Platinum Passes, upgraded music experiences in the Diamond Club, front-of-the-line access to athlete meet and greets and more. Fans will have the opportunity to learn how to snowskate at the interactive Snowskate Park in X Fest. Additionally, the park will host daily demos and autograph sessions from snowskate pros, as well as a Snowskate Best Trick competition on Sunday. X Fest Snowfest is the place for snow groms to hang and have fun, featuring activities like remote control snow CATS, snow Strider course and participate in the Shred Hate Snowman Pledge. The X Games hype team, X SQUAD, will be roaming X Fest and competition areas throughout the weekend to stoke out the fans. The team engages fans to participate in big-screen games, dance offs and sponsor giveaways. Ticket information and full music and competition schedules are available at XGames.com/tickets. Admission to X Fest is included with every ticket purchased.